CHENNAI: Ten doctors excluded from the selection process for appointment to 1,825 posts of assistant surgeon have moved the Madras High Court seeking cancellation of the October 16 examination conducted by the Tamil Nadu Public Service Commission (TNPSC). In the alternative, the petitioner-doctors have prayed for holding a supplementary examination for about 2,400 eligible doctors, including themselves, whose applications were rejected by the TNPSC on the ground that they had not filled certain columns and did not sign the mandatory declaration. As an interim relief, they sought to restrain the TNPSC from publishing the results of the October 16 examination. Justice A. Kulasekaran, before whom the joint petition by doctors M. Satish Manoharan, D. Geethapriya and others came up for hearing ordered notice to the TNPSC and posted the matter to October 27 for hearing. Maintaining that they did not fill up some columns in the application because they came under the `For Office Use Only" category, the petitioners said, "the application format created confusion in the minds of candidates." They added that it was not a serious omission warranting rejection of application at the initial itself. As the applications were submitted by August 4, the authorities had sufficient time to call upon the applicants to rectify the mistake. By choosing to reject the applications summarily, the authorities "deprived the petitioners of their valuable right to get into Government services." Of 1,825 posts, 530 are for speciality services. Despite several requests, the petitioners and other similarly placed doctors were not permitted to verify the reason given by the TNPSC, the petition said. HE HAD challenged a Bombay High Court order cancelling his anticipatory bail. Now, with the Supreme Court dismissing his special leave petition, Ramesh Dhokte’s arrest seems inevitable. But the ayurvedic doctor from Dombivli, who made a lot of money by selling his cancer cure to gullible patients, has admitted himself to Hinduja Hospital, Mahim, for a hand injury. It’s not the first time Dhokte—the Supreme Court dismissed his plea on October 21—has got himself admitted while facing impending arrest. In December 2003, when the Maharashtra Council of Indian Medicine lodged a case against him for making false ‘cancer cure’ claims, he had got admitted to Hinduja Hospital. On September 26, the Bombay High Court cancelled his bail for creating hurdles in the case and tampering with evidence. The Madras High Court has ordered Tamilnadu Public Service Commission (TNPSC) to permit over 100 doctors to take the examination for the post of government assistant medical officers whose application had been dismissed by the TNPSC. 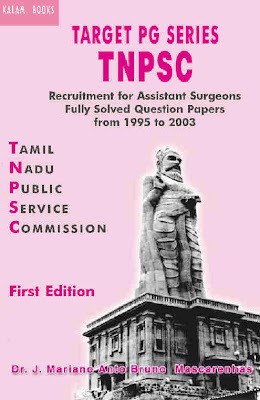 It may be noted that TNPSC had issued a notice to fill up 1,295 vacant assistant medical officers' posts last July. Thousands of applications were received of which over 100 applications were dismissed as they were not properly filled in. Opposing this, over 100 doctors filed a petition in the High Court. Hearing their appeal, Justice C Nagappan ordered the TNPSC to let those doctors write the examination which is slated to be held on 14 October.